Just like all the other parts of the human body, it is advisable to pay good attention to left arm pain, which may mean a more serious medical condition. Based on research, this type of shooting pain is closely connected to various kinds of heart conditions such as cardiac arrest and heart attack. However, it can also mean less serious illnesses like tendinitis, post-herpetic neuralgia and intersection syndrome. Because of such uncertainty, it is much better for people to know the different symptoms, causes and treatments for such sharp stabbing pain affecting the lower, upper, left and right parts of the left arm. 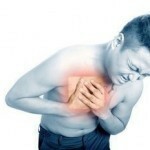 The most serious medical condition associated with left arm pain is heart attack. When this is the case, it is usually accompanied by shortness of breath and chest pain. When these symptoms arise, it is best to go to the nearest hospital or call a physician right away. However, not all of the signs mean highly serious matters. Sometimes, these may indicate injuries ranging from mild cases all the way to the severe ones. When injured, patients cannot straighten or even move their arms. At times, there may be swelling or deformity, depending on the severity of the injury. In case the dull feeling, tingling sensation and severe pain persist for more than a couple of days, it is best to consult doctors right away. 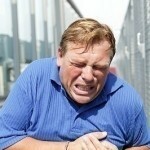 For people with serious heart conditions, pain in the left arm may signal a heart attack. If this is not the case, there are many other possible causes for chronic pain such as thoracic outlet syndrome, tendinitis and sprains. In other cases, medical conditions like repetitive strain injuries, post-herpetic neuralgia and carpal tunnel syndrome can also lead to severe stabbing pain. Kienbock disease usually cause swelling, severe pain and stiffness to the left arm. Meanwhile, repetitive movement of the left wrist can lead to intersection syndrome. Other possible causes of pain in the left arm are broken hand, broken arm and brachial plexus injury. 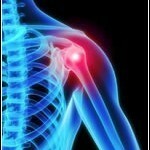 It is important to diagnose pain in the left arm as it may mean different things. A successful diagnosis can actually prevent the onset of more serious conditions. Doctors usually ask about the medical histories of their patients. After that, they need to undergo various kinds of physical exams to understand the cause of the pain as well as eliminate the other possibilities. To ensure the right results, imaging tests will be performed including x-rays and magnetic resonance imaging. Treatments for pain in the left arm depend on the cause of the problem. For tendinitis, patients can undergo surgery, physical therapy and corticosteroid injections. In case of post-herpetic neuralgia, the treatment options include peripheral nerve stimulation, the use of painkillers like tramadol and the use of antidepressants. When the cause is bursitis, patients are advised to take non-steroidal anti-inflammatory drugs to provide relief from pain.